No one wants to take arthritis with them to the beach, but for those of us living with various forms of arthritis and rheumatic conditions, we really don’t have a choice! 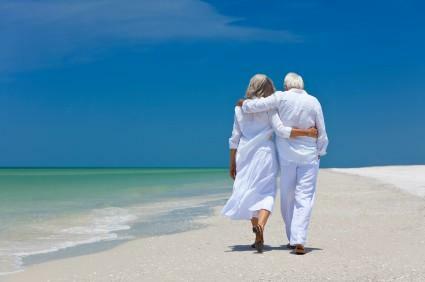 But, we do have a choice to not let arthritis ruin our sunny disposition, and, there are steps that we can take to make a beach day more tolerable while living with these kinds of conditions. Go with friends or family! If you are planning a day at the beach, don’t go alone. You’ll likely need help carrying your cooler and beach bag, and you may need help setting up chairs or an umbrella. Meditate – Meditation is a great way to relax, de-stress, and even alleviate pain! The beach is a wonderful place to meditate due to its relaxing ambiance. Choose an ergonomic beach chair that is comfortable, and one that makes it easy for you to sit and stand. Wear sunscreen! Many arthritis medications and rheumatic conditions make patients sensitive to the sun. Soaking up those rays is important for Vitamin D, but protecting your skin with sunblock and shade is crucial. Hydrate, hydrate, hydrate! Hydration is important for anyone, but especially for those with chronic illness, especially if you are taking certain medications or have Sjogren’s Syndrome or Lupus. Pack an ice pack in the cooler, and bring a First Aid kit….just in case! Take a swim – swimming is a great exercise for many people with arthritis. Arthritis doesn’t have to hold you captive this summer! We’ve also posted about having a picnic with arthritis and photography and arthritis. Enjoy this time of year – arthritis or not! And, please, feel free to share your comments, below! Tags: Arthritis, Arthritis Ashley, Arthritis Exercise Book, Arthritis Foundation, Arthritis Foundation Mid Atlantic Region, Arthritis Today, Ashley Boynes-Shuck, autoimmune arthritis, beach, beach meditation, beach walking, Chronic Illness, chronic pain, fibro, fibromyalgia, Health, Human Body, JA, JIA, JRA, Juvenile Arthritis, lupus, meditate, meditation, Mid Atlantic AF, Mid Atlantic Region, OA, Ocean, Osteoarthritis, pain relief, RA, Rheum, Rheumatoid Arthritis, sand walking, Sandy Guerr, Sandy Guerriere, senior citizens, Sjögren's Syndrome, summer, Traveling with Arthritis, Vacation, Wellness, Wellness with a Side of Life. Bookmark the permalink. Great blog Ashley and very timely. As I get older I’ve noticed the couple holding hands walking along the beach seem to be enjoying it as much as the kids running and digging in the sand. They both focus on what they can do and not what they can’t. Appreciate every step and enjoy the good days. If you’re in Michigan the wise people walk the lakeshore while the crazies get in the water of Lake Michigan. Air temp 90, water temp 58. And if you plan on staying…do bring a chair. I can’t get down and back up from the sand…well…from any floor level. So a chair is a must have for me. I also find that wearing sneakers down to my chair area helps greatly. But I agree….walking in the wet sand is terrific. Not the dry for me as the uneveness causes to much stress on my ankles but the wet sand is a bit more firm and works great with bare feet if i am not in any kind of flare. I also love the water shoes. They are a must for pool swimming or beach going as well.